Now that the holiday brouhaha is over you and you’ve had a chance to take a breath, it’s time to take a well-deserved break. Now that the holiday brouhaha is over and you’ve had a chance to take a breath, time to take a well-deserved break. But how will you spend your me-time this week? Well, we can help you with that. 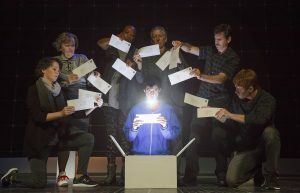 Whether it involves books or plays or exhibitions, we break it all down for you. We can even tell you where you can learn to do a little origami. Who struggles with hunger, and why? A presentation called ‘This is Hunger‘ at the Jewish Community Center of Dallas uses storytelling and other activities to draw you into the lives of everyday Americans and deepen awareness about this problem. Also in Dallas, a show called ‘Genesis‘ pairs paintings and wall sculptures from two Texas artists, Roi James and Katherine Houston. They’re on display at Laura Rathe Fine Art. Fold a new craft into your life at South Garland Branch Library tonight. 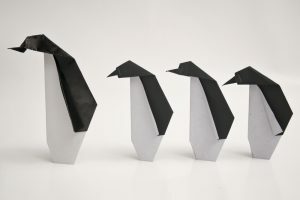 Learn the Japanese art of paper folding and make origami hearts, stars and penguins. Find out what happens when a struggling actor takes a job in the basement of a megastar’s home in the off-Broadway hit comedy ‘Buyer and Cellar.’ It’s the first show from the newly opened Daum Theatre Company and it’s on at Uptown Theater in Grand Prairie. Kettle Art in Dallas presents ‘Art Con Select 2017.’ The exhibition showcases the work of 15 artists who participated in this year’s Art Conspiracy show. Garland Civic Theatre stages ‘Tantalus.’ The plot twists and turns around a mysterious millionaire and a nurse who’d do anything for money in this thriller at Granville Arts Center. Art, Beats & Lyrics started as a small art show in Atlanta. 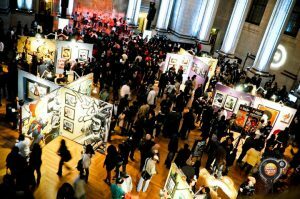 It’s grown into a traveling show pairing emerging visual artists and musicians with veteran hip-hop stars. Memphis rappers 8Ball and MJG headline the free show at Gilley’s in Dallas. Author Zadie Smith visits Dallas for the first time. Smith was invited to participate in the DMA’s Arts & Letters Live series. 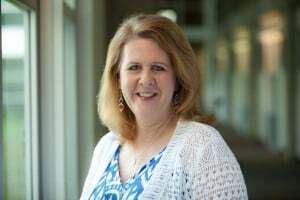 She’ll chat with KERA’s Krys Boyd about her novel, ‘Swing Time’ Saturday evening at the Dallas Museum of Art. 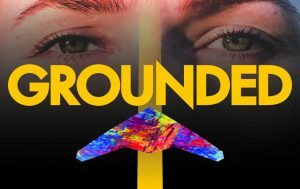 Don’t miss Second Thought Theatre’s local premiere of ‘Grounded.‘ The play explores what it’s like to take someone’s life from thousands of miles away with the press of a button. Dallas gallery 500x has two new upcoming exhibitions. 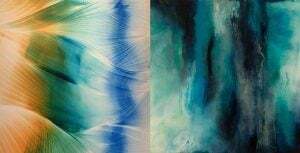 The gallery will host an opening reception for the artists Julie Libersat, Ashley Whitt and Ross Faircloth. The Fort Worth Symphony Orchestra takes on Tchaikovsky’s ‘Pathetique’ at Bass Performance Hall. 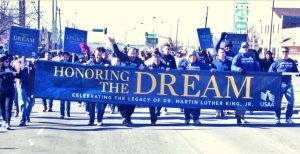 The 35th Annual Martin Luther King Jr. Birthday Celebration wraps up with a parade that begins at MLK Boulevard and Holmes Street in Dallas. The parade features area high school bands and floats. It concludes at Fair Park. Author David Tomlinson will host a reading from his book ‘The Midnight Man‘ at Dallas’ The Wild Detectives.